If your eyes are always drawn to gleaming, silver Airstreams as you pass them on the highway you’d be forgiven for taking a second look (or third, or fourth) when you see your first Argosy trailer. With domed end caps and panoramic windows, Argosy trailers look a lot like Airstreams. Instead of the iconic shiny shell, though, Argosy trailers sport an eye-catching paint job. Often they feature their original color scheme of creamy white and dusty tan with maroon accents. Sometimes you’ll see a custom painted Argosy with striking designs. Talk to any Argosy owner and it’s clear that the ability to paint these iconic trailers is one of the most interesting things about owning one. So what’s the story with Argosy? Where did these Airstream cousins come from? And why are they painted? The best place to begin is in the Airstream archives – a treasure trove of information about all things Airstream, including the origins of the Argosy line. 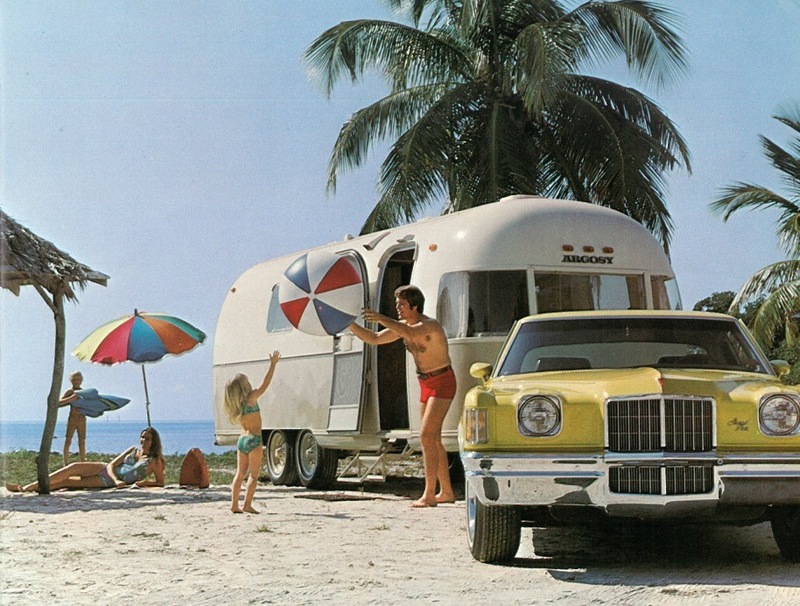 The story goes that in the early 1970s Airstream wanted to offer a medium-priced trailer. Airstream’s then-president Chuck Manchester saw the solution in a separate line of trailers sharing some of Airstream’s time-tested features, while adding new twists. The company purchased a new plant in Versailles, Ohio (36 miles down the road from Airstream’s Jackson Center plant) and established separate management and production teams. In 1973 the first Argosy trailers rolled off the line. Many Airstream dealerships sold and serviced them, and an uneasy balance developed as the company took pains to advertise the Argosy as almost an Airstream. Many of the differences were in the shell itself and the paint applied externally. The company used lower-grade aluminum as a cost-saving measure. The paint job sometimes hid scratched and dented aluminum sent over from the Airstream plant, and cost-effective steel formed the front and rear dome segments. The fuel crisis of the 1970s took its toll on the economy, and the Argosy plant closed in 1979. 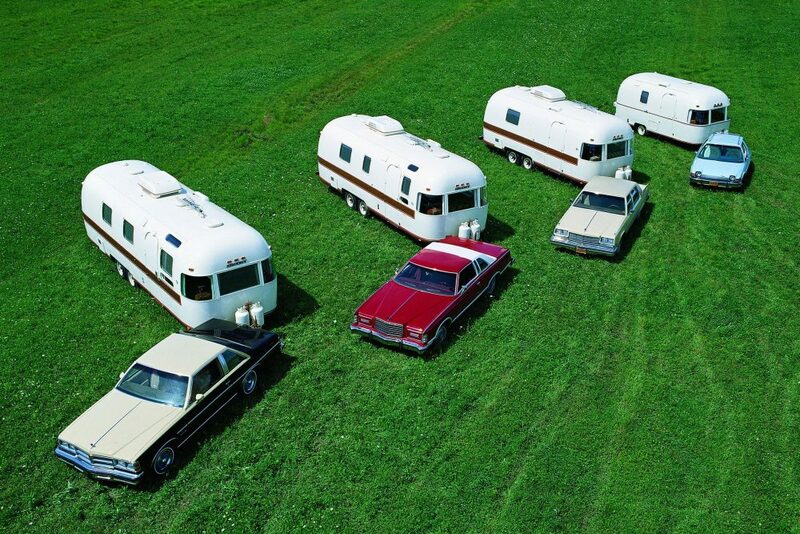 In 1986 the line was reintroduced in a radically redesigned form, complete with fiberglass end caps (one of several early Airstream experiments with fiberglass) and a square design. The Argosy trailers kept the familiar external color scheme, though, and were produced through 1989. Today, Argosy trailers are quite rare and are recognized as yet another fascinating element in Airstream’s storied history. Argosy owners are a passionate breed, and today their trailers are welcome at Airstream events across the country, as well as in the Wally Byam Caravan Club. Their enthusiasm is apparent in the creative renovations you can find on social media, and the way many owners use the Argosy’s distinct paintable surface as a canvas to express themselves. In the coming weeks we’ll highlight a couple of these incredible trailers and their equally incredible owners. And maybe you’ll be lucky enough to see one out there on the road.